I posted a comment on this at the Great Shakes post. I agree, Pillsbury's was better, but was a little disappointed when Pillsbury dropped the Gorilla Milk name. 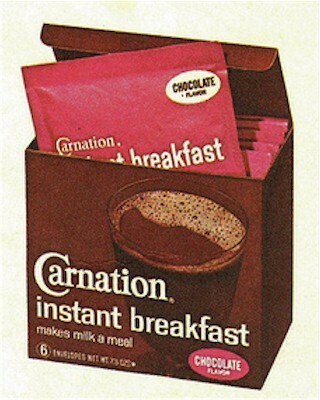 It was a quick breakfast for us in the 1970's. Mom was too lazy to make a real breakfast. It tasted good. I preferred Pillsbury Instant Breakfast because it was thicker than Carnation. "If it ain't broke--don't fix it" says it all when companies change ingredients of products that the consumer has loved for years. When you change the formula to save money, you shortchange your faithful customers. And, like me, they will leave you in droves. So all you food conglomerates: leave well enough alone! !